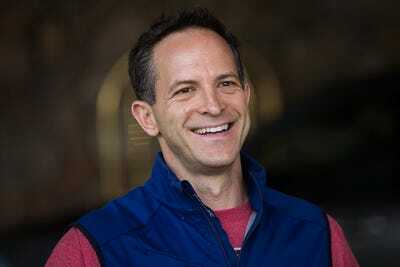 Getty / Drew AngererZander Lurie, CEO of SurveyMonkey, which filed for an initial public offering on Wednesday. SVMK, the parent company of SurveyMonkey, filed Wednesday for an initial public offering. The company is seeking to raise as much as $US100 million, but hasn’t yet said how many shares it will sell. The online polling company stands apart from other recent tech firms that recently went public, because it’s much older and is posting only modest revenue growth. SVMK, the parent company of SurveyMonkey, the online polling company, filed for an initial public offering on Wednesday. SVMK seeks to raise as much as $US100 million (a common placeholder number) in the stock sale, which will be led by JP Morgan. The company didn’t say in the document how many shares it plans to sell, and it hasn’t yet set a price for them. This year has already seen an uptick in tech IPOs, thanks to investors hungry for stakes in young, fast-growing companies. But that dynamic could play against SVMK’s offering. Founded in 1999, it’s no newcomer. And its revenue grew just 5.5% last year while it posted a sizable loss. Its sales have picked up this year, though. It’s also worth noting that the company has raised $US1.1 billion across 5 funding events, according to Crunchbase – at least $US300 million of which came in the form of debt. Revenue (annual): $US218.8 million last year, up 5.5% from 2016. Revenue (half-year): $US121.2 million in the first half of this year, up 13.8% from the same period in 2017. Net loss (annual): $US24 million in 2017, compared with $US76.4 million the year before. Net loss (half-year): $US27.2 million in the first half of this year, up from $US19.1 million in the first half of last year. Cash flow from operations (annual): $US45 million in 2017, up from $US35.8 million the year before. Cash flow from operations (half-year): $US22 million in the first of this year, up from $US14.8 million in the same period a year earlier. Cash and cash equivalents: $US43.4 million as of June 30. Total debt: $US317.3 million as of June 30.